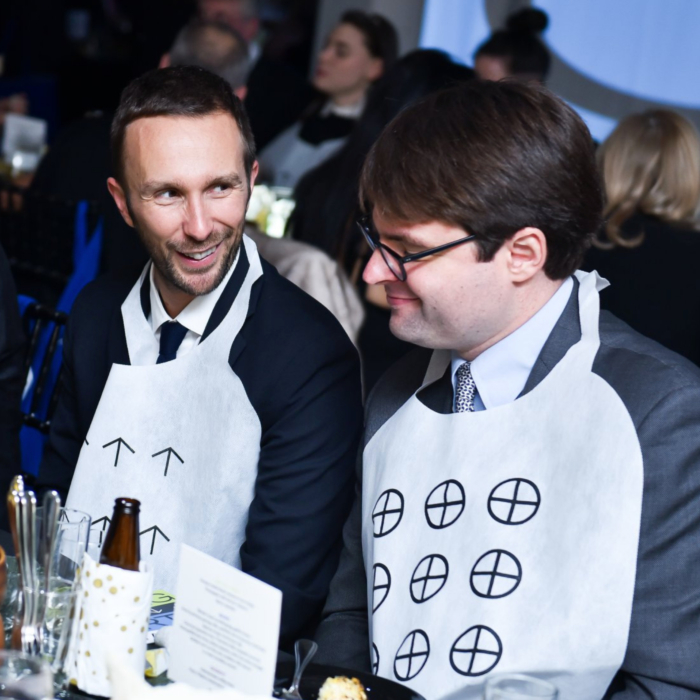 Van Alen Institute is an established non-profit that uses design to catalyze positive change in cities. 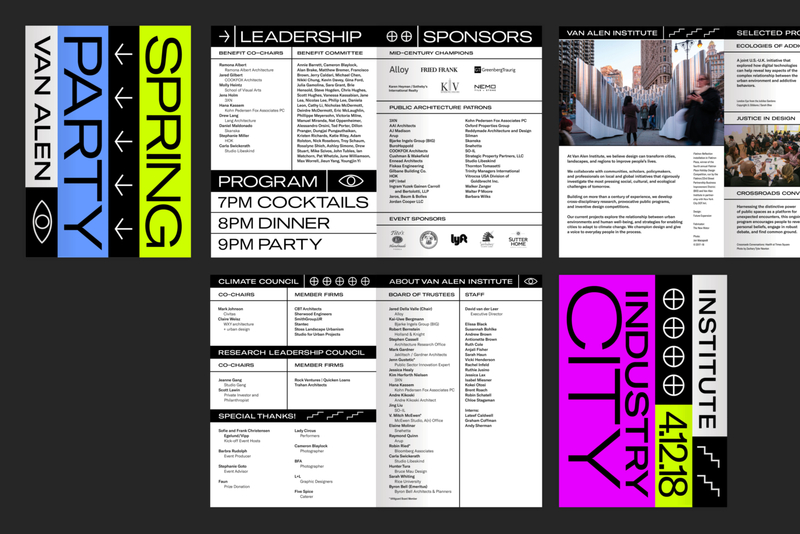 Our identity for their 2018 Spring Party played off the event location in Industry City in Brooklyn—a collection of buildings defined by creative uses of space and modular organization. 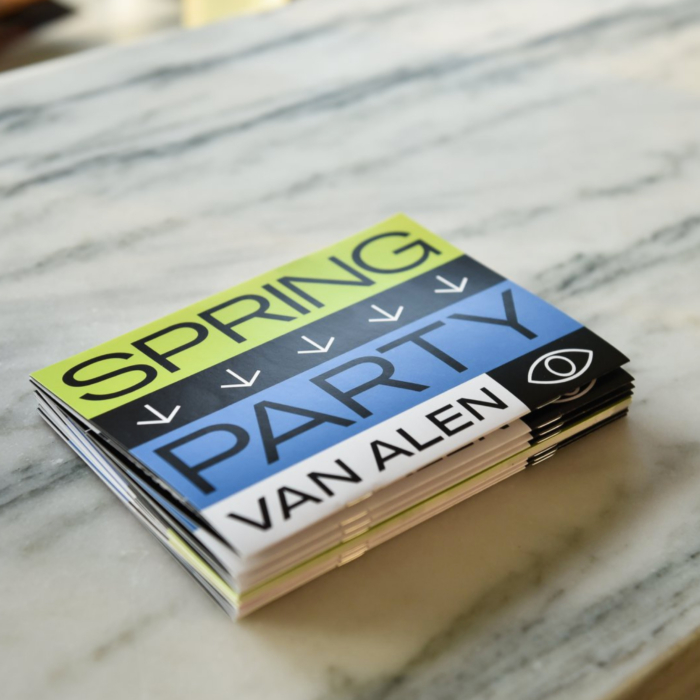 The event benefited Van Alen’s public programs, design competitions, and research investigations.